Some simple auto repair jobs become difficult and time consuming when rusted or stripped lug nuts make it difficult to remove a wheel. Stuck lug nuts can also lead to pulled or strained muscles from pulling on a lug wrench with all of your strength. 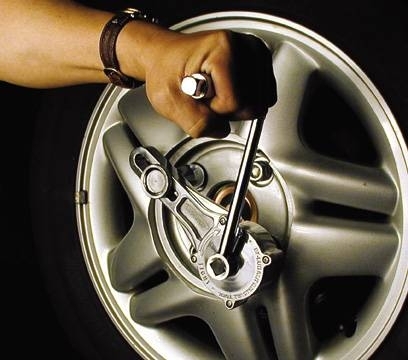 Remove rusted and stripped lug nuts without hurting yourself by following these instructions. Gently heat the nut with a torch and liberally apply penetrating oil. Some mechanics use an acetylene torch for the job, but such torches must be carefully used. (See the warnings section.) A cigar torch lighter is more easily available and will work well enough for this job. The heat will expand the nut slightly, allowing the oil to penetrate to the rusted areas. 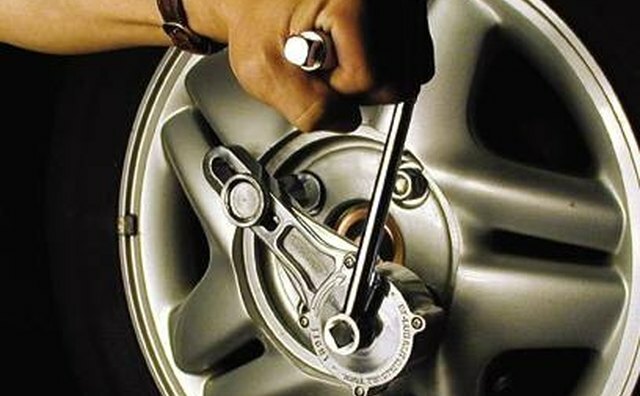 Use a cheater---a short piece of pipe---and slide it over the end of the lug nut wrench. Lift the end of the pipe in order to get more leverage and torque. This extra force will often do the trick and loosen rusted lug nuts. Be careful not to overdo it, as you could snap off a lug. Get a socket one size smaller than would normally go on the nut and hammer it on with a ball peen hammer. Then use a heavy duty ratchet in the socket to remove the stripped nut. You will have to throw away the socket along with the stripped lug nut, but it will be worth it to get the nut off. If these steps fail, use a specially tool designed for removing lug nuts. It works by locking onto the stuck nut and the one directly opposite it, applying torque by using reduction gears. The Resources section has a link to a site where you can see and purchase one of these tools. Do not overheat the lug nut in an attempt to remove it. You can damage the lug, wheel or hub. How Do You Remove A Stuck Lug Nut?